Betty Jean Machen, 74, of Apollo, passed away on Wednesday, October 17, 2018 at West Haven in Apollo. She was born Thursday, August 17, 1944 in New Kensington, Pa., the daughter of the late Allen and Hazel Cline Machen. She enjoyed shopping, playing bingo and spending time with her grandchildren. 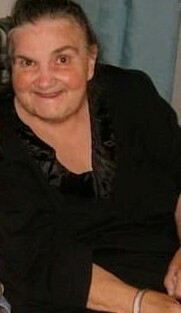 She is survived by her son, Scott Machen of East Butler, 3 grandchildren, Patrice Strickland and her husband Kenny of Richland, Ga., Michael Machen of Richland Georgia and Christopher Mystkowski of New Kensington, 7 great grandchildren, a sister Rachel Caviness of New Kensington and a brother, George Machen and his wife Stacey of New Kensington. In addition to her parents, she was preceded in death by a sister, Alice Hancock. At her request, all arrangements were private.